It’s not every day that you experience the decadence of Hollywood glamour in the normally quiet, gentle rolling dales of the Cotswold. But when the Rent a Crowd team are hired to for a stunt with one of the UK’s largest car retailers, you know something big is about to happen. The car market is under pressure. The uncertainty of Brexit and a slow economy means that every sale is hard fought for. And so its no surprise in this current climate that our clients want to add something ‘extra’ to their annual sales conference. And by extra, they mean opulent glamour and sizzle. Hollywood is the place of decadence, of untold riches, where fortunes are made and the beautiful hang out. 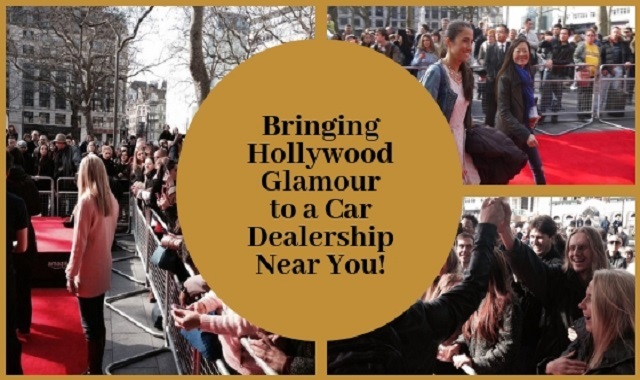 As well as being the centre of the movie industry, the opulence of Rodeo Drive is not to be missed nor the walk of fame on Hollywood Boulevard. Our client brought all of this to their conference, with conference rooms decorated with Hollywood Glam. But there was only one thing missing – the cheering, adoring fans as the delegates arrived. Rent a crowd with Rent a Crowd! We’ve worked with many clients in much the same way, providing an enthusiastic and cheering crowd to attract attention, as well as contribute to the theme of an event. As the car sales conference delegates arrived, they were greeted like superstars. Members of our crowd swooned and whopped with delight, as well as hunting autographs. 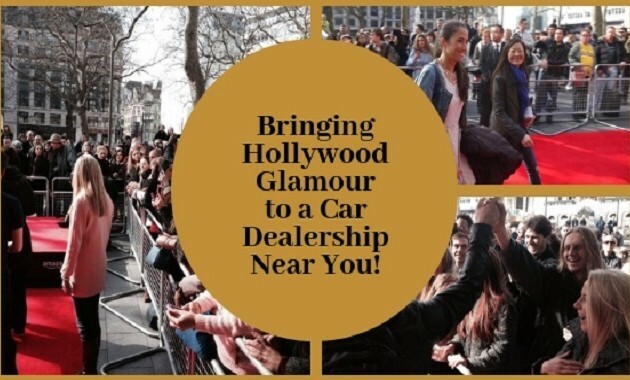 The rousing cheers and greetings were the perfect accompaniment to the Hollywood Glam setting of the event. Our client loved it – and their employees love it too! It will remain a talking point for some time to come. Our question is this: just how will they top it for next year’s conference? Why not hire a crowd for your event? We can supply any size of crowd from a handful of people to hundreds and thousands of cheering supporters or fans. Clients use our services for everything from parties to corporate events, including training and promotional videos, product launches – anything where they want to grab attention and make a real impact. We supply at venues and locations across the UK. Our people can ‘blend in’, taking on the role of ‘ordinary’ people on the street or they can perform as our hired crowd did for this car sales client. All you need to do is call us on 0844 800 0071 or email the team. Just let us what your event is all about and what you would like our rent a crowd to do. As well as corporate event and launches, our crowds have attended birthday celebrations and other private events including funerals.